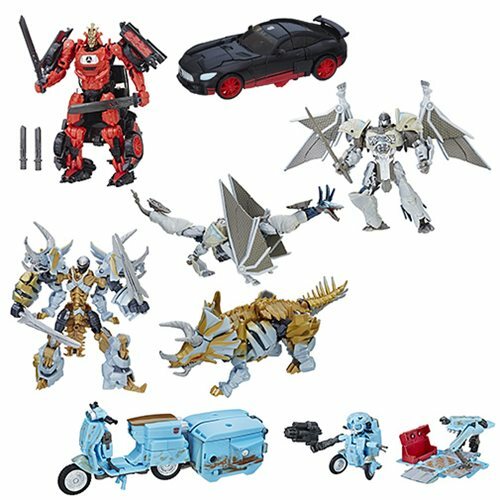 The next evolution of robots in disguise are here with the Transformers The Last Knight Premier Deluxe action figures! Each transforming toy goes from Autobot or Decepticon to vehicle and back again, and includes exceptional articulation with cool accessories. Ages 8 and up.